Steve Watkin (born Steven Llewellyn Watkin on 15 September 1964) is a former Welsh cricketer, with Glamorgan County Cricket Club and England. A reliable seamer who never suffered serious injury despite several lesser niggles, he played three Test matches in 1991 and 1993, and four One Day Internationals in 1993 and 1994. He was one of the Wisden Cricketers of the Year in 1994, the only one of that year's five who was not Australian. 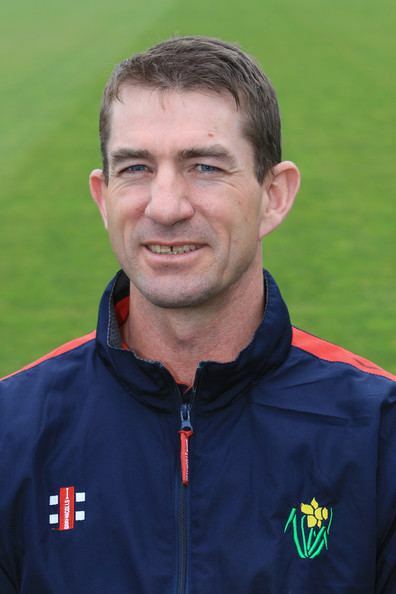 Watkin made his first-class debut against Worcestershire in 1986, taking the wickets of Graeme Hick and Phil Neale, and also played two Sunday League games, but had to wait until 1988 for a second chance. That year he established himself as an important member of the Glamorgan first team, taking 8 for 59 (which was to remain his career best) against Warwickshire, and claiming 46 first-class scalps in all that season. His best year in terms of wickets was 1989, when he captured 94, and in his career he took a total of 902 wickets. He made his England Test debut unexpectedly in 1991, when Chris Lewis pulled out on the morning of the first test against the West Indies. Watkin's bowling was ideal for Headingley's notorious seamer friendly conditions. Watkin took five wickets, including those of Carl Hooper, Viv Richards and Gus Logie in a match-turning spell in the second innings, in England's ultimate victory in the match, but he fared less well two weeks later at Lord's. He returned to the Test team for the Sixth Test in 1993, when he took six wickets, including the first three of Australia's second innings, in England's only victory of the series. In 1998, Watkin was given a benefit by Glamorgan, which raised £133,000. Normally a poor batsman, he managed to average a startling 35.66 that year, despite a top score of just 25, thanks to 13 not outs in his sixteen innings. By contrast, his career average was 10.83. In 2000, he scored 51 against Gloucestershire, the only half-century of his career. After retirement in 2001, Watkin became Director of the Welsh Cricket Academy.